Davis: GM is now "in the hands of wonderful and capable leadership." 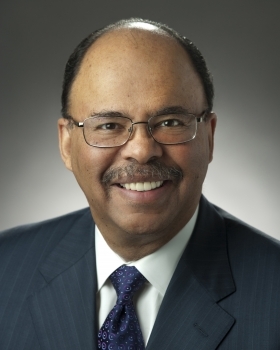 Erroll Davis, a member of General Motors boards before and since the automaker’s 2009 bankruptcy, will retire in June. Davis’ retirement will be effective after the board’s annual meeting in June when he will not stand for re-election, a spokesman said. Davis, 70, was a GM board member from 2007 to 2009. After the automaker’s bankruptcy, he was appointed to the new GM board by the government, a spokesman said. He is a director of Union Pacific Corp. and previously was a member of the boards of Amoco, British Petroleum, PPG Industries and Wisconsin Power & Light. He was chairman of Alliant Energy Corp. from 2000 to 2006, and CEO of the company from 1998 to 2005. Linda Gooden joined GM’s board last month. Davis’ retirement will leave the board with 12 members. The maximum number of members is 17, the spokesman said.